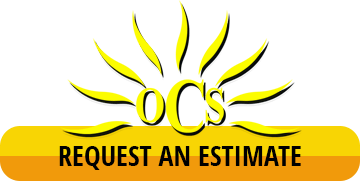 Outdoor Cleaning Services | Pressure Washing | Graffiti Removal | Call Today or Book Online! There are the additions to your property that you want… Then there are the ones you could live without. Outdoor Cleaning Service is here to provide Graffiti Removal that puts vandalism in the past-tense. Our team knows that vandalism doesn’t just inconvenience your property. It can harm your reputation, your building, and your pride. Research proves that a business is exponentially more likely to become the victim of repeat vandalism if they don’t address the first graffiti episode with speed. Vandals like an easy target – and if they think their handiwork will be tolerated, the unwanted graffiti will keep coming. We help you prove them wrong. Thanks to our specialist graffiti removal team, your property will have a graffiti-free surface and be able to resume business as usual. There’s nothing positive about an instance of graffiti on your property. But with Outdoor Cleaning Service, you have an ally to get your business on track through a simple and painless solution. No matter what surface is affected – and how big the damage is – we have a solution at the ready. Know that Outdoor Cleaning Service is here if you need us!